Can you believe it’s been 5 years since these cute little containers made their first appearance with the 21 Day Fix? This program and nutrition plan was a game changer and influenced so many of the programs that came after it, because it worked! If it fit in the container, you can eat it. But there was room for improvement! The Portion Fix worked for most people, but for some it was a little confusing. What if you have dietary restrictions? What if you had a goal other than losing weight? What if you wanted to bust plateaus or reach new fitness goals? What if you wanted to get the family on board? How can this system help you break sugar addiction for good? Those cute little containers are getting an update with Autumn Calabrese’s new premium nutrition program: The Ultimate Portion Fix! 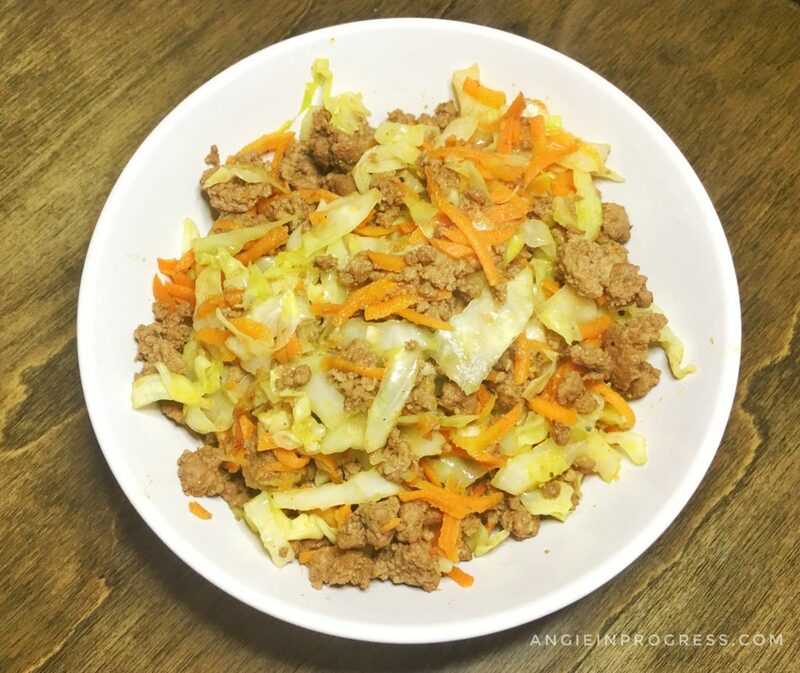 The Ultimate Portion Fix takes everything we know and love about the portion containers and that simple 21 Day fix meal plan, and turns it into something 10x more effective! It educates us. It empowers us. And it helps us lose even more weight and keep it off! 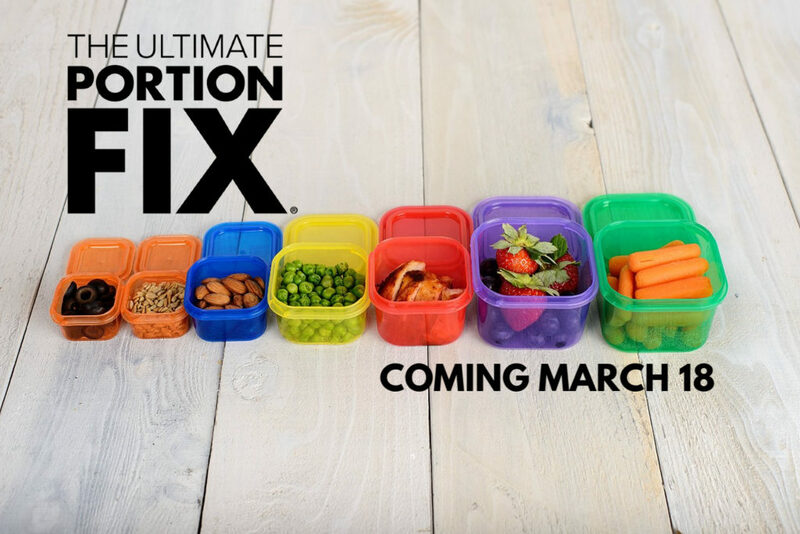 Those portion containers are getting an update with Autumn Calabrese’s new premium Beachbody nutrition program: Ultimate Portion Fix! Why Should You Try The Ultimate Portion Fix? This nutrition plan is designed to be sustainable. It’s not a quick-fix. It’s a program that will teach you concepts that you easily can implement every single day for the rest of your life in a variety of circumstances. You’ll eat a healthy balance of foods. Protein, veggies, fruits, healthy fats and YES! Carbs too! It’s all about feeding your body with an ideal balance of macronutrients! It will help kill your sugar addiction. Even if you don’t have a “sweet tooth,” most of us still have a sugar addiction. And that partially has to do with consuming processed foods which are filled with hidden sugars! It’s designed with dietary restrictions in mind. Whether you have a specific dietary restriction due to health issues or just out or preference, you’re covered. Whether you’re paleo, vegan, or gluten-free, this program will help you get the most from your nutrition. The program is great for the WHOLE FAMILY. As a family with 4 kiddos, this is very important to me! The program covers what and how much your kids should be eating as well as strategies to end the “I only want mac & cheese” fight. And Autumn makes it fun for kids to learn and track how they’re doing each day. You’ll really LEARN how to eat right — not just be told what to eat. Something the 21 Day Fix nutrition plan was missing. This program teaches you the principles of the meal plan in a way that you’ll really understand. Because sometimes the key to doing things right is understanding WHY you’re doing them. It’s easy to personalize for any goal. Whether you want to lose weight, maintain your weight, build muscle or tone up this nutrition plan is customizable based on your goals & activity level. What do you get with the Ultimate Portion Fix? •30 step by step videos – these are broken down into modules that show you how to use containers, how to plan, how to prep, make healthy meals and help you get to the core of your food and eating decisions. •Workbook: This is a companion guide to those 30 videos to take notes and complete additional exercises to better guide your 30 day journey of learning this program. •7 color coded containers: no more guessing on portion sizes! Fill up the containers with your choice of foods – if it fits, you can eat it! •75 Healthy Lunch ideas for kids: a quick and easy digital PDF to help parents give their kids healthy meals they will love to eat! •Beachbody App: Stay on top of your daily container use, your portions, and Shakeology, plus access program content and more. Available for iOS and Android. •FREE BONUS! 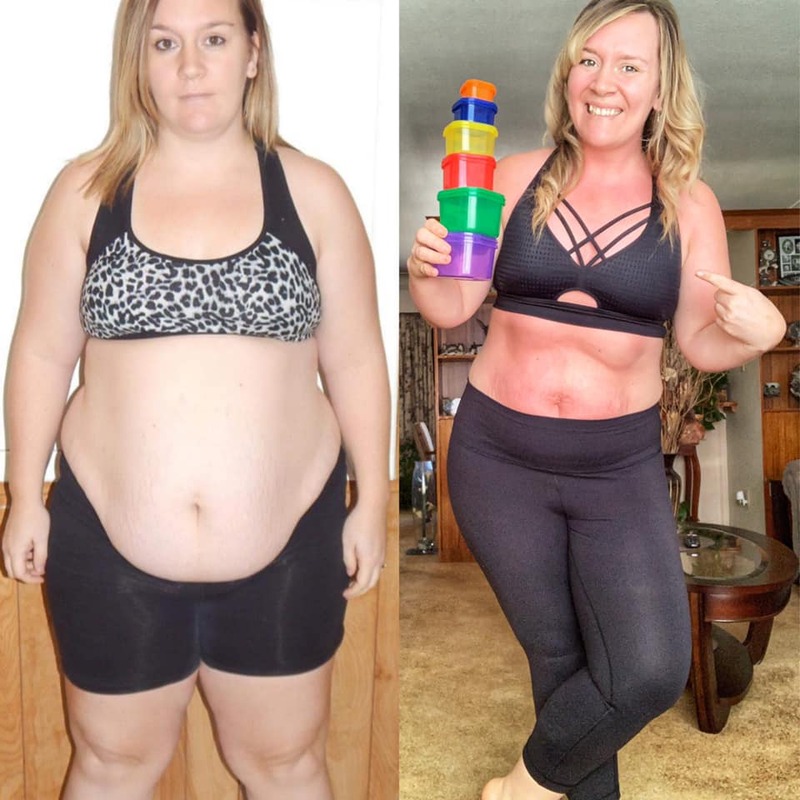 21 Day Fix & 21 Day Fix EXTREME new workouts: Anyone who purchases the Ultimate Portion Fix between March 18-March 31 will be invited to workout LIVE with Autumn as she reshoots both the 21 Day Fix and 21 Day Fix Extreme in real time (starting 4/1/19). Although the UPF can stand alone (no workout required) adding fitness will ensure faster progress. Ultimate Portion Fix: JOIN ME! You won’t be alone! In our group I’ll be sharing daily tips, recipes, meal planning suggestions and motivation to help you stick with it! The accountability and support has been the game changer for me and so many of the ladies I get to work with. Please fill out the application below and I will get back to you ASAP about joining my group and getting you started on your journey! 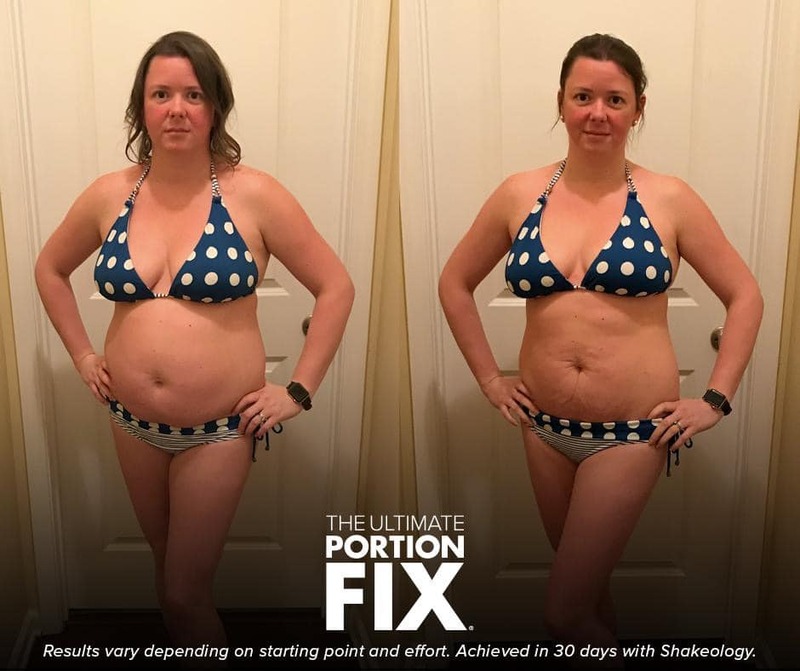 Ashley lost 14.3 pounds in just 30 days with the Ultimate Portion Fix! 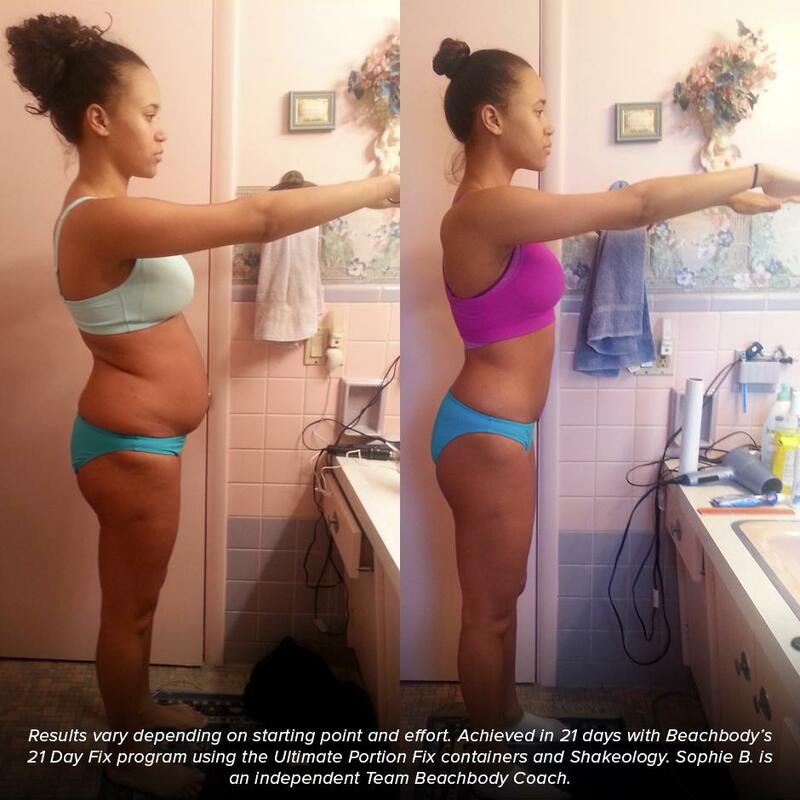 Sophie lost 15 lbs using 21 Day Fix and Ultimate Portion Fix Containers. 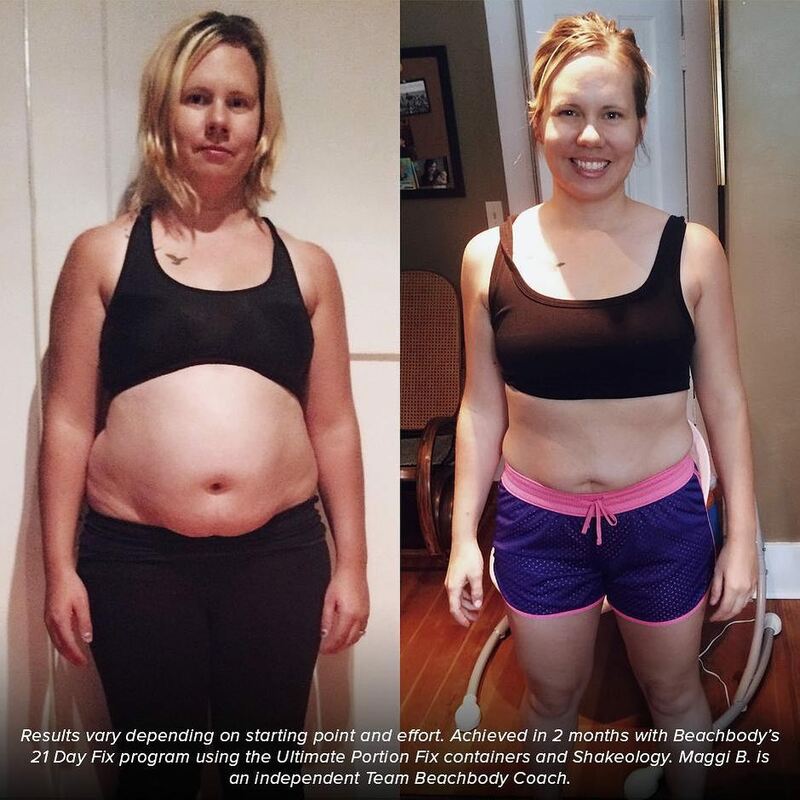 Maggie B. lost 30 lbs. in just 2 months while fixing her portions with the Ultimate Portion Fix! In 30 days Kalena lost 10 lbs and 11.5 inches. Results after just 2 weeks! Oh my goodness! This is heaven in a bowl! I might have this as my post-workout meal every single day for the duration of my new fitness program! I made a huge pan of it that I will enjoy the rest of the week! I love that this meal plan tells me exactly what to eat and when to eat it! It really takes the guesswork out of the entire process! And although it’s probably one of the most disciplined programs I’ve ever done, somehow it’s been easier for me to stick with it than any other program I’ve tried. Learn more about the ULTIMATE PORTION FIX! Oh, and I LOVE the workouts too! But I’ll talk about that another day. Right now, it’s all about the food! Brown meat in skillet, season with salt and pepper. Meanwhile combine soy sauce, hot sauce, vinegar, ginger and stevia. Once the meat is cooked thoroughly, remove from pan, drain and set aside. Add oil to pan and sauté carrot and cabbage. Add garlic. Cook until cabbage is as tender as you like. Add sauce mixture and meat. Mix to combine and serve over 1 yellow container of pre-cooked brown rice. Containers used per serving: 1 red, 1 green, 1 yellow, 1 tsp. Last Month to Save on All-Access! 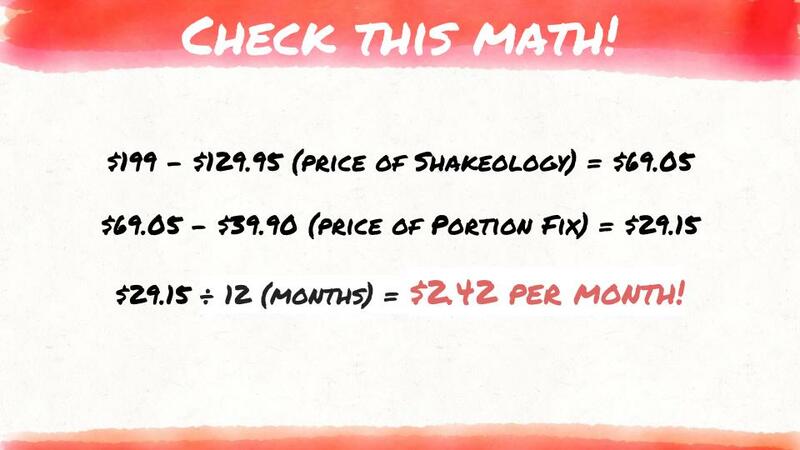 Last Month to SAVE on the Annual All-Access Beachbody On Demand and Shakeology Challenge Pack! This has been such a game-changer! The value is unbelievable! And the convenience of every single Beachbody workout ever made means there is something for every one and every mood: yoga, strength training, kickboxing, pilates, dance, and so much more. Finish a program, and jump right in to another one. Don’t love a program, cool! Just switch it up and try something else! Workout at the gym? Sweet! Beachbody on Demand is portable, you can take it with you on your smart phone and use the equipment at the gym! And…IF you can’t get to the gym, you’ve got a back-up plan at your fingertips! Ready for a Challenge Pack with the best value ever? For a limited time you can get the NEW Annual All-Access Beachbody On Demand and Shakeology Challenge Pack—available NOW until February 28th, 2017 at a special price. You will get access to EVERY program on Beachbody On Demand for an entire year, including all of the premium programs like 21 Day Fix, CORE DE FORCE, and Country Heat. PLUS you’ll get access to ALL new products that launch during your 12-month subscription. You will also receive a 30-day supply of Shakeology and the Portion Fix system which will set you up for a full year of healthy results. Annual All Access Beachbody on Demand and Shakeology Challenge Pack – over $6000 value! If saving TIME and MONEY is important to you, than consider your options! Convenience is very important to me, as a busy mom of 4. I don’t have a lot of extra time. 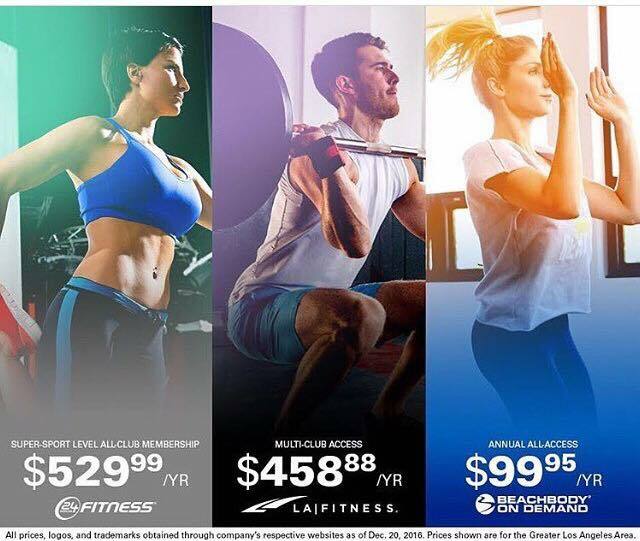 So being able to access top notch workout programs in my own house, on my time, and for a fraction of the cost of a gym membership…that means a lot! *AND…of course you’ll get free access to my coaching, support and accountability throughout the year in my private challenge groups where I share daily tips, recipes, meal plan suggestions and motivation! I will be there 24/7 to guide you and encourage you every step of the way! Order the Annual All-Access Beachbody on Demand Challenge Pack before this deal ends! and get my support all year!